March 16, 2019 This post may contain affiliate links. 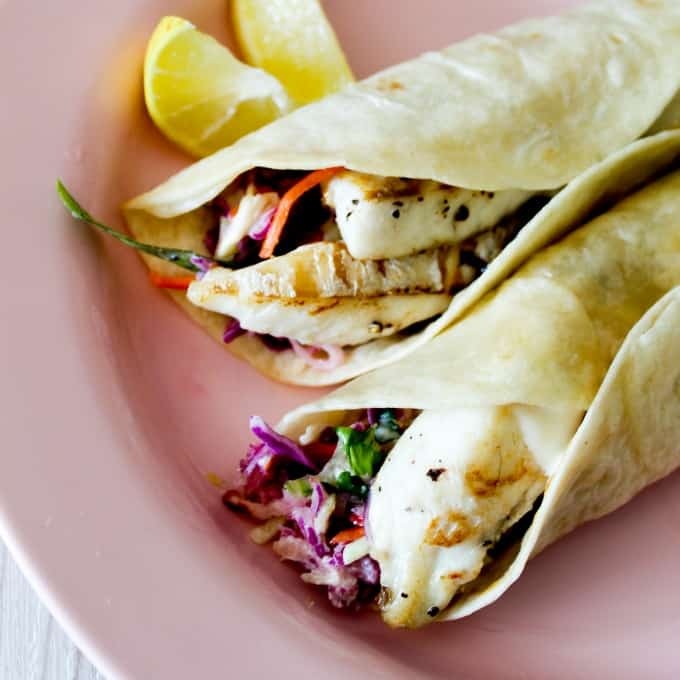 Grilled Fish Tacos are an easy, super satisfying fast dinner option. Stuffed full of freshly sliced vegetables and tender strips of grilled fish and topped with a deliciously creamy fish taco sauce and a squeeze of fresh lemon. OMG Yum!! We are super lucky to live close to an amazing fishing spot. And I happen to be married to a man who loves to fish. So during the Summer months out freezer is kept full of fresh fish fillets. I have a few trusty recipes that we tend to eat on repeat. 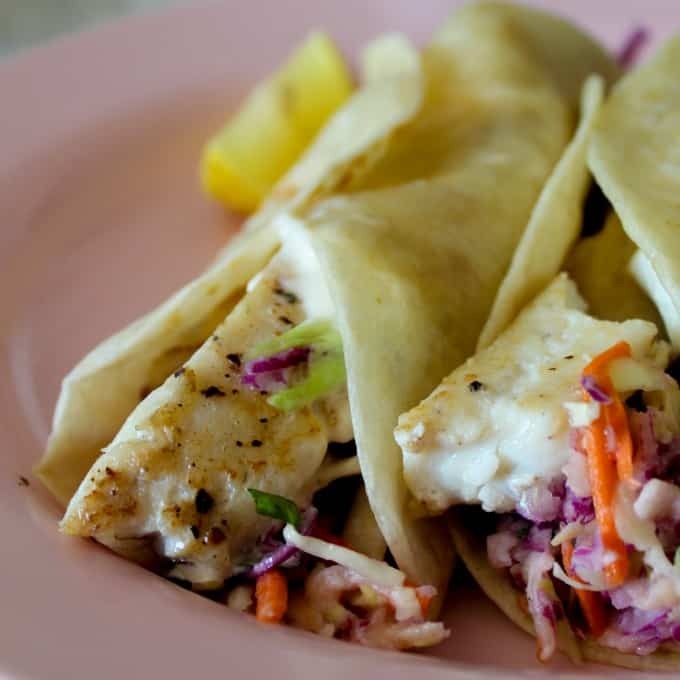 These grilled fish tacos are a regular on our family table. They are super quick to pull together and can feed a crowd without too much of a fuss. These are not complicated. All you need is fish, vegetables, tortillas and sauce. Firm white fish fillets. We use Snapper fillets, but any firm white fish will be fine for this recipe. To cook, heat up a pan on the stovetop, add a little olive oil or butter and fry each fillet until slightly golden underneath. Flip and cook the other side. Season lightly with salt and pepper. Shredded vegetables. Finely shred carrots, cabbage, apple and green onions. 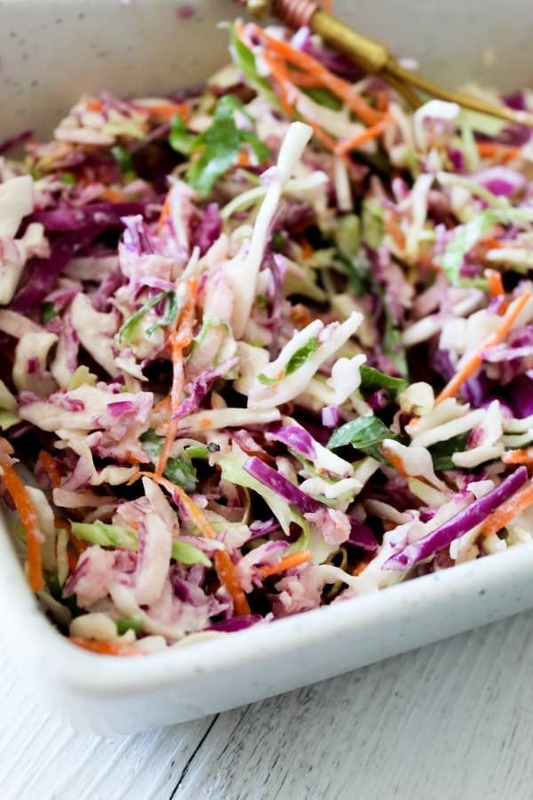 Or you can cheat if time is tight by buying a bag or ready sliced slaw or vegetables. Soft Taco Wraps. If you are buying store bought wraps, opt for organic or wholewheat and check the ingredient list contains no preservatives or additives. Or try my Two Ingredient Homemade Tortilla Wraps. Creamy Fish Sauce. This is a huge part of the recipe and takes about 30 seconds to make. I’m not going to boast, OK, so maybe I will. 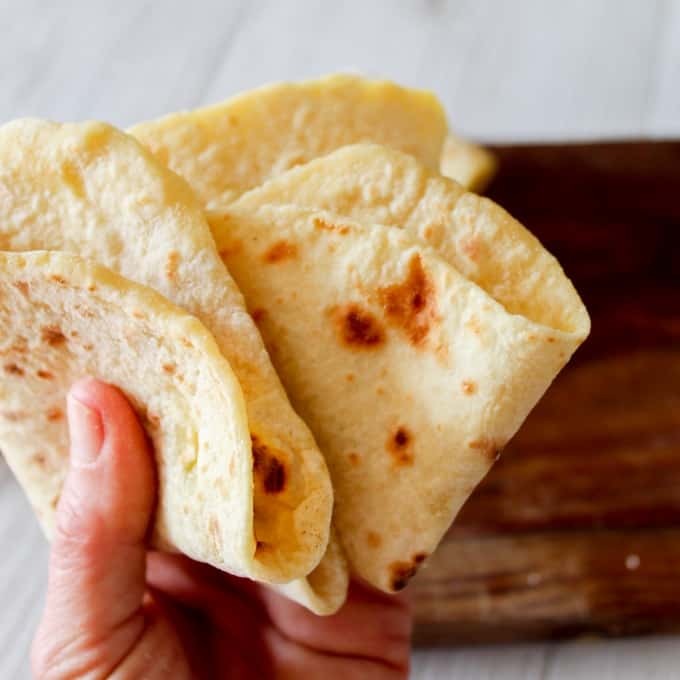 These two ingredient tortillas are AMAZING!! 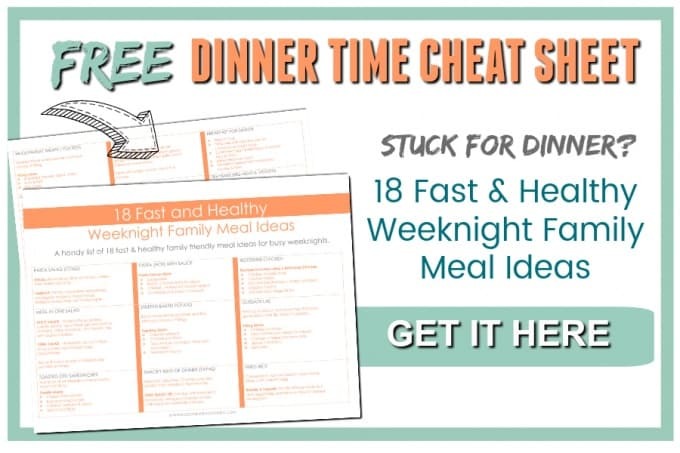 Quick, easy and you most probably have the ingredients in your kitchen right now. Get the recipe here. Similar to Tzatziki sauce, but without the crunch. This smooth and creamy fish taco sauce is enough for 6 tacos, so double up as needed. Heat a pan on the stove. Add a teaspoon of olive oil and lightly fry your fish fillets until golden on each side. Season with salt and pepper and set aside. Warm your tortillas in the oven (or microwave). Wrap them in parchment paper to prevent them drying out. Make up the fish sauce by mixing all fish sauce ingredients together in a bowl.